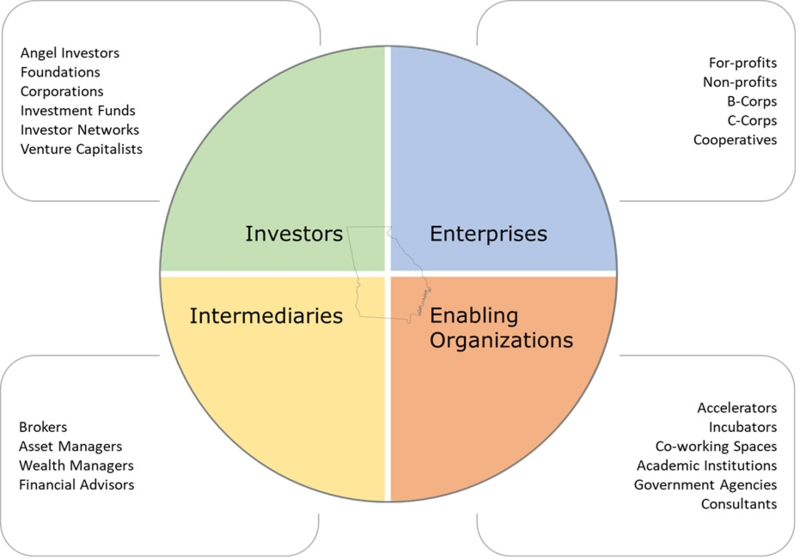 An ecosystem framework incorporates the broader environment within which organizations operate. This framework is particularly important for investors and social entrepreneurs, who leverage complex systems of interacting players in rapidly evolving political, economic, physical, and cultural environments (Bloom & Dees, 2008). Enterprises create the opportunities to connect capital to both social impact and financial return. Intermediaries help investors find worthy social impact enterprises. Enabling organizations provide nonfinancial resources and support to help enterprise emerge and grow.